Fashion in the Middle Ages was just like everything else in that time period, dictated by the feudal system. The feudal system was basically a status ranking for that time, the clothing you wore helped to provide information about the status of the person who was wearing them. Their were strict laws about who could wear what and where you could wear it. 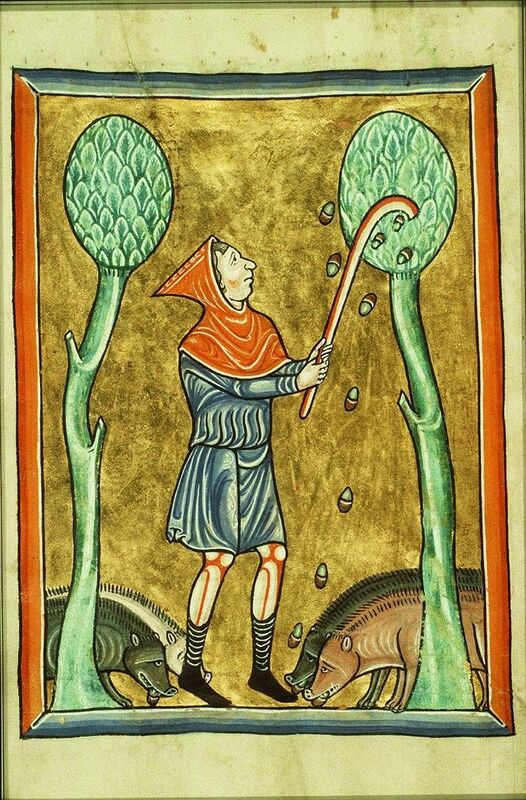 The lowest class in medieval times did all the hard work and also made the clothing; even though they were the ones making the clothes they often couldn’t afford to have all the different types of clothes everyone else had. Wool was the most common material used to make clothing back then, men would start by shearing the wool from the sheep, women would spin the wool into thread (as seen in the image above) then the thread would be sent off to be dyed. Using plant roots, lichen, tree bark, nuts and crushed insects almost every color were able to be made. Dyed fabric would fade if it was not mixed with an additive, bolder shades required either longer dyeing times or more expensive dyes. Fabrics that were really bright cost more and were found the most on nobility and the very rich. Ladies with higher ranking husbands or fathers would wear clothing made from silk, not only wool, and they would be much brighter than the clothing peasants would wear. Higher social ranking meant that you could afford to wear more than just the standard cloak, headdress and pointed shoes worn by commoners. For more wealthy women a cap was worn made of linen with lapels hanging down (as seen in the two portraits above) over the shoulders, a robe was tightened around the waist with long bands attached to the sleeves near the wrists, long bright cloaks and leather pointed shoes. In the medieval times, many churches thought makeup was sinful and immoral and for a period of time the church outlawed cosmetics and people who used them only were found in brothels. But after make up was somewhat accepted, the goal was to look as pale as possible (something I am naturally very good at) and apply a very heavy amount of blush to make them look more youthful. Regardless of social ranking, men would wear a cloak, tunic, trousers and leggings. The cloak would be short and lined with fur unless you were royalty or nobility then it would be longer. The tunic worn would end at the knee and had short sleeves in the summer and long sleeves in the winter. Men would always wear a belt but the more accessories on the belt signified how wealthy of a man you were. Trousers were worn under the tunic and were knee-length. Leggings were normally worn in pairs and acted as leg protection, the first set of leggings were made of leather and the second set was simply fabric to keep the first pair of leggings up. Scott, Margaret. 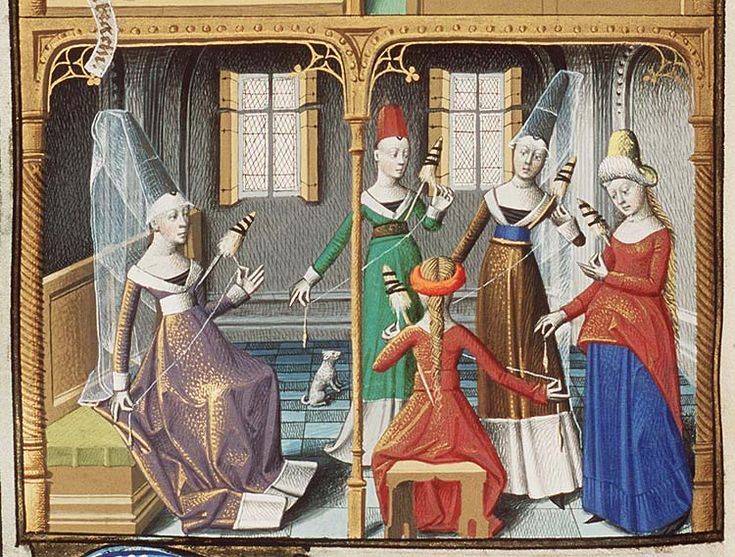 Fashion in the Middle Ages. Los Angeles: The J. Paul Getty Museum, 2011.
fashion medieval men's fashion middle ages student series!